I have read a few articles of late that have made my heart sink as they compounded the misconception that public relations and media relations are synonymous. These articles were written from both sides of the fence – disillusioned companies and PR agencies – and they got me thinking about who is at fault in the creation of this misconception. I have been earning a living from this ‘thing’ called Public Relations (PR) for 25 years and the boundaries between what is PR and what is media relations can certainly be blurred. As a PR practitioner, I believe that it is incumbent on me to make the distinction when I work for a client, and to manage their expectations accordingly. I read a blog post recently that said: “We believed that PR would be a good way to help make our start-up known to a larger audience. It could have worked. We hired a PR agency. Big mistake. Frustrated, we decided that PR was not for us – and turned to building a reputation and a following in social media.” Erm, building a reputation is EXACTLY what PR is about … reputation management = public relations. On reading more of this post, it was evident that the author was equating the media coverage achieved, or not, by the PR agency they engaged with the resulting return on the business in terms of sales and thought the coverage did not give a high enough return. In the mind of this business owner, the equation they were working to was: public relations = media relations = media coverage = no sales. The result? ‘PR’ did not work … for them. I regularly look at the websites of other PR professionals, to find out what they are doing, how they are doing it, who they work for, etc. Partly because I am nosey (!) but I also do this in terms of establishing reputation and awareness of others in my profession. I have noticed that there are many PR professionals / companies who focus heavily on media relations, to the point of excluding any other type of PR. If they branded themselves as media relations specialists, I would understand it, but to brand themselves as PR, and only talk about media relations on their websites, I feel is disingenuous to potential clients and keeps the wheel turning of business owner / senior executives being disillusioned that public relations = media relations. For example, the website of one PR agency (which will remain nameless) says: “What is PR? PR demands a true understanding of what makes a good story. There are hundreds of ways to get your story to the media and PR is the umbrella term for the different ways.” The PR services the site lists include: media relations, press release writing and distribution, product launches, media training, feature writing and placement. There is no mention of stakeholder engagement, social media, reputation audits, alignment of activity with business objectives, etc etc etc. This website goes on to explain that the agency will get hands-on with key media to gain coverage and brand exposure. They work with traditional and digital media and have journalists on the team. They ask for interested businesses to get in touch to discuss how they can get coverage in the media. I know this agency well, and know that they are experienced and do get great media coverage for their clients. My concern is that when a company which does not understand that public relations has a wide remit and that media relations is only one element of communicating messages, will believe that PR is just media relations. Definition: Public Relations (PR) is about reputation – the result of what you do, what you say and what others say about you. 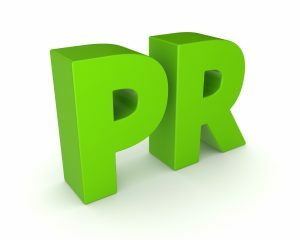 PR is the management discipline* which looks after reputation with the aim of earning understanding and support, and influencing opinion and behaviour. It is the planned and sustained effort to establish and maintain goodwill and mutual understanding between an organisation and its publics – The Chartered Institute of Public Relations (CIPR) *I do not agree with the term management discipline as I believe strategic management function is more accurate. Read my reasoning. The moral of my story is that it is down to PR professionals to advise clients of what PR is and can achieve, to open their eyes to the wonders outside of media relations – to focus on just media relations is limiting. After all, companies employ PR professionals (either as an in-house resource or via contracts) because we have the expertise that they do not – read the page on my website about what I do in terms of PR as a demonstration of what PR can be used for. That’s a really interesting and valuable take. Like you, I would define media relations as outreach with the media – the placement of stories, and PR as a much wider discipline, which itself comes under the umbrella of Marketing and Communications. Exactly, Ann. Media relations is one of the parts of the PR whole – some companies need more emphasis on media relations than others, but the two (PR and media relations) are definitely not one and the same.